Made homemade pizza tonight. Have I mentioned how much I love to do this than ordering in? 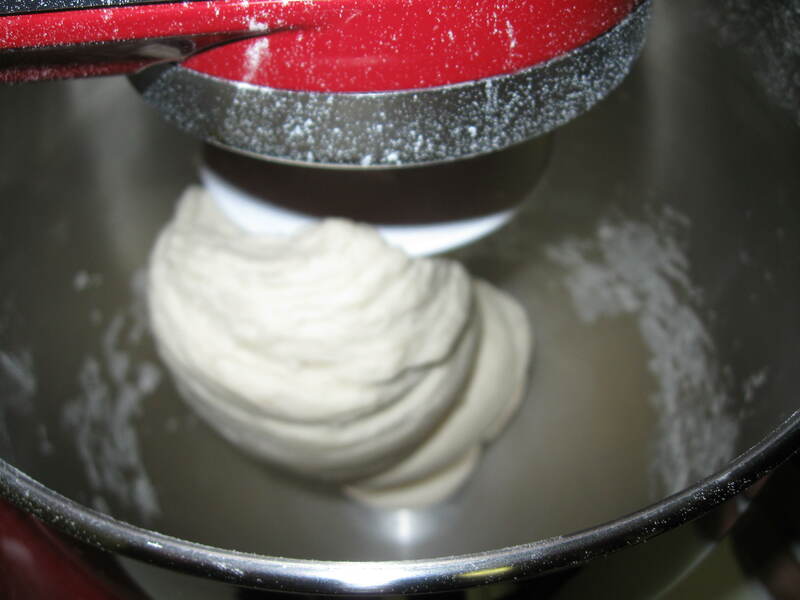 I mean, it’s so simple to make your own dough! Ah, the little things in life. 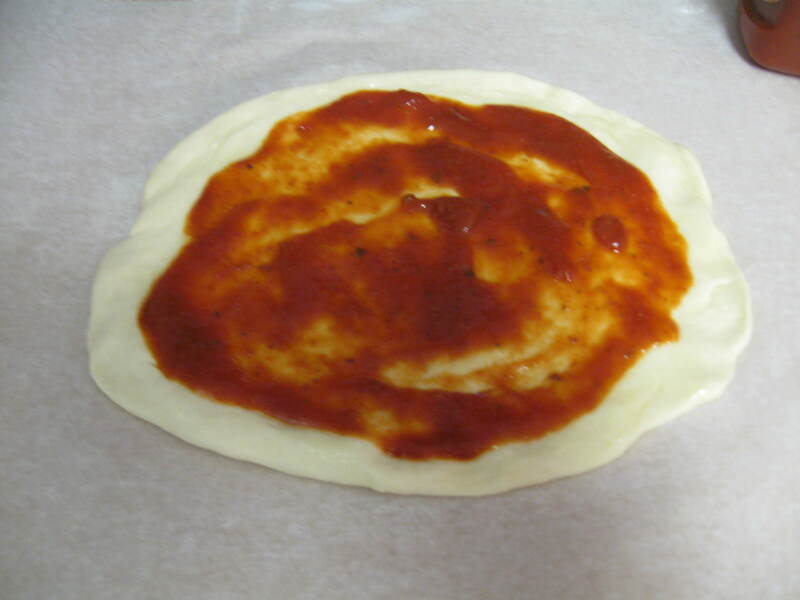 You can find the recipe we use to make our own homemade dough and pizza here. 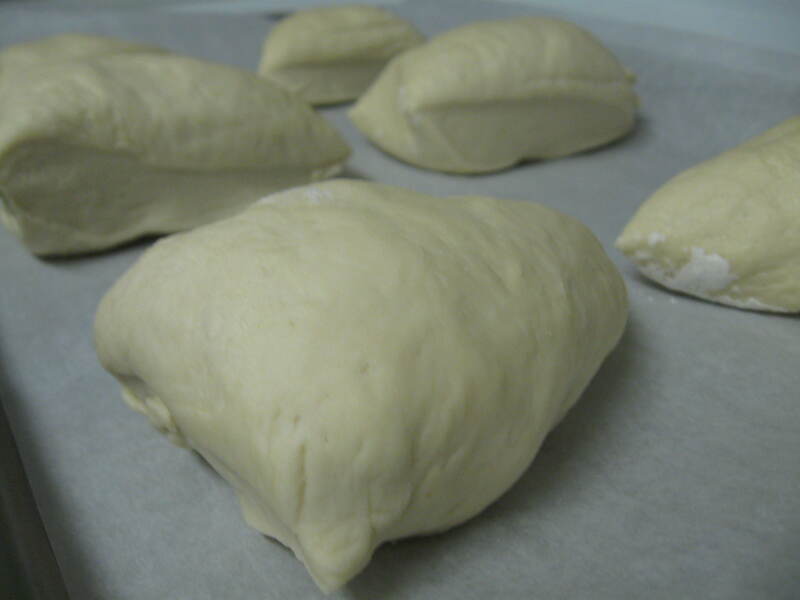 Instead of cutting the dough into six little pieces, we cut it in half and made one the halves pretty large and then cut the remaining chunk in half to make two little dough balls for later use. The one thing we did differently? 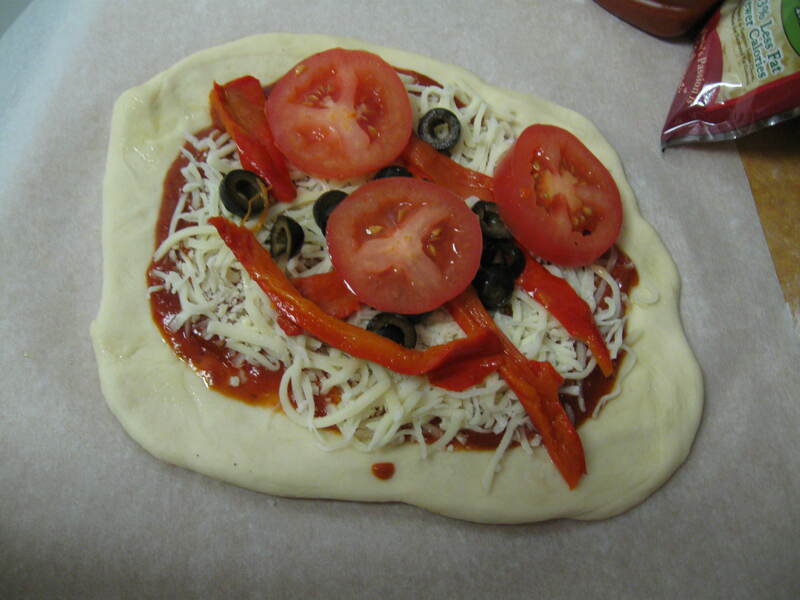 Made the pizza a little large and then took string cheese, cut them in half, put them along the outer edge of the pizza and folded the dough over. Ta-da. Stuffed crust pizza. Yeah, I don’t need to go into how amazing and delicious it was. This recipe is a complete no brainer and works every time. 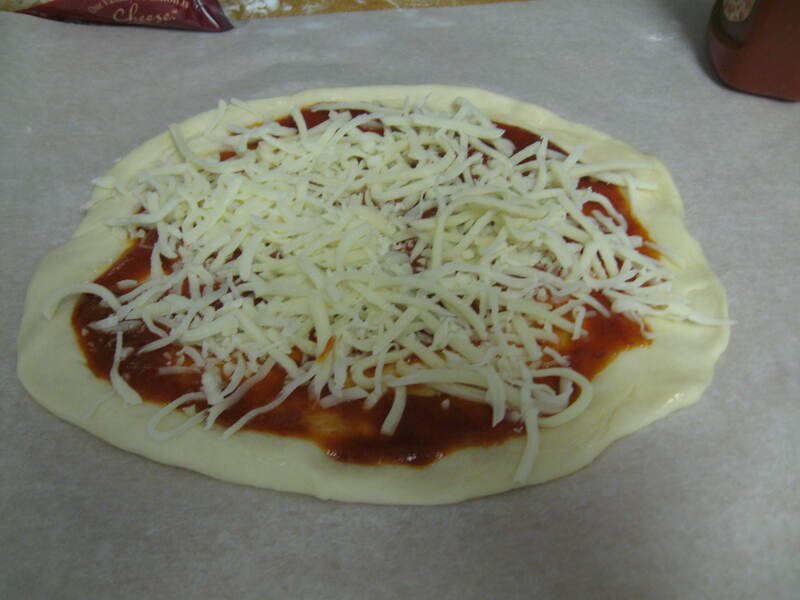 So again, it’s the same recipe found here but just use the string cheese (or any kind of cheese you like) to get a stuffed crust effect. 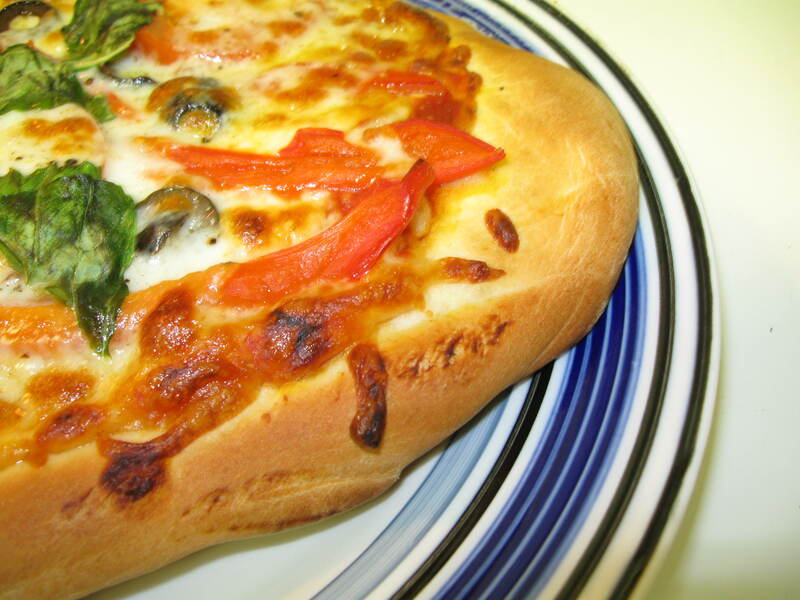 This entry was posted in Food, Main Dish, Vegetarian and tagged homemade, homemade pizza, homemade pizza dough, stuffed crust, stuffed crust pizza, vegetarian pizza on June 4, 2010 by Aparna B..
REB and I were waffling between making stir fry or pizza for dinner. Since there was football on TV, I think the obvious choice was pizza. However, my thoughtful sweetie said it might be fun to make our own dough. So we did, and it was amazing. I can’t take any credit for this recipe. We used Ina Garten’s recipe for pizza dough. I mean, she can be really annoying and she says smarmy, cheesy things, but she has some OK recipes. If you don’t know who she is, she’s the Barefoot Contessa lady on Food Network. We just used one of her pizza recipes for the dough. It can be found here. 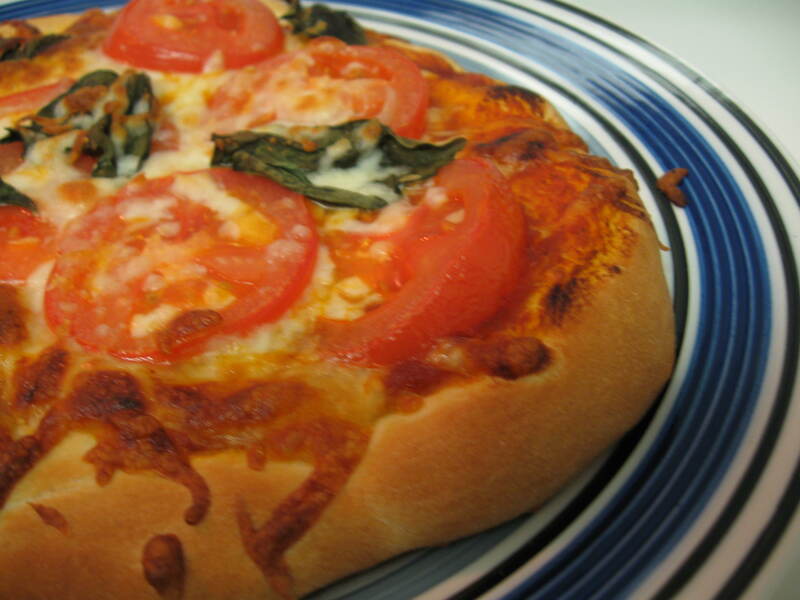 We didn’t make California grilled pizzas, but the dough recipe was outta sight! 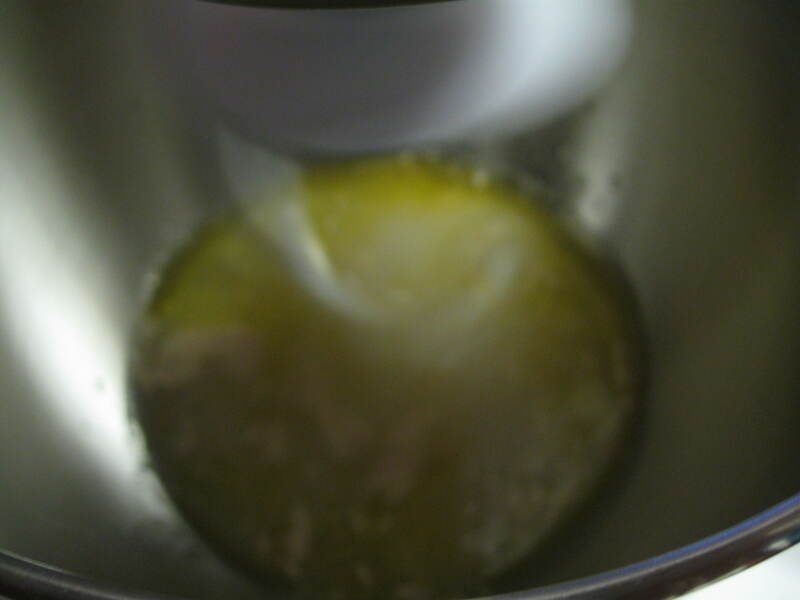 Now, we have a stand mixer so we used that (as the recipe will note to use). 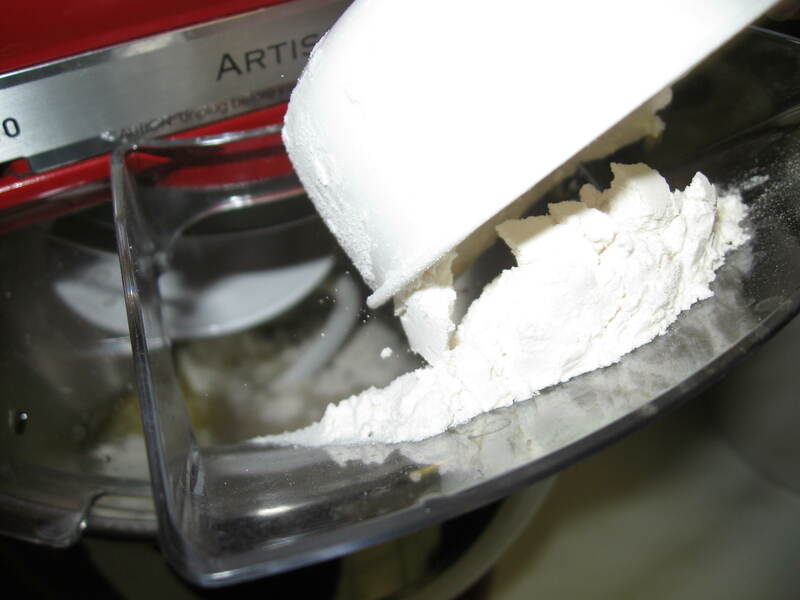 However, if you don’t own one, I imagine using a hand-mixer with dough hooks would work just the same. Or use your best tools: your hands. 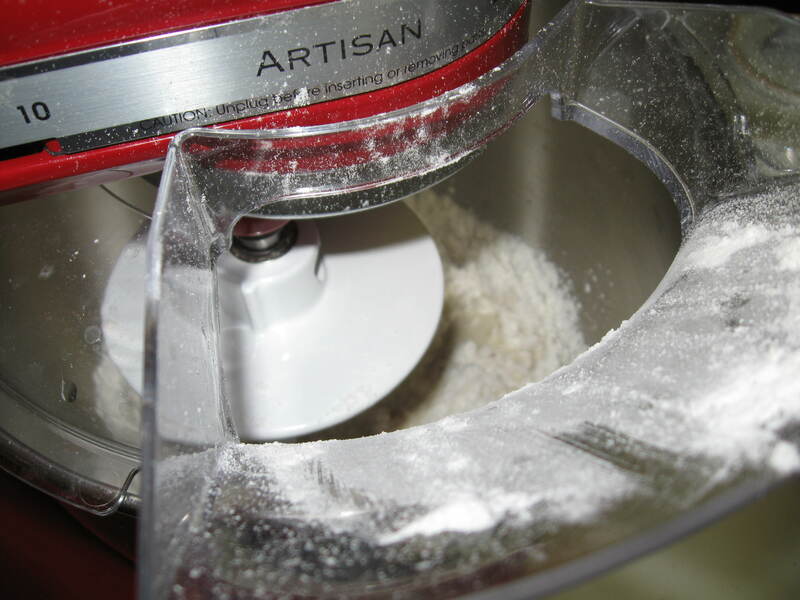 With the mixer still on low speed, slowly add 3 of the cups of all-purpose flour and the salt. 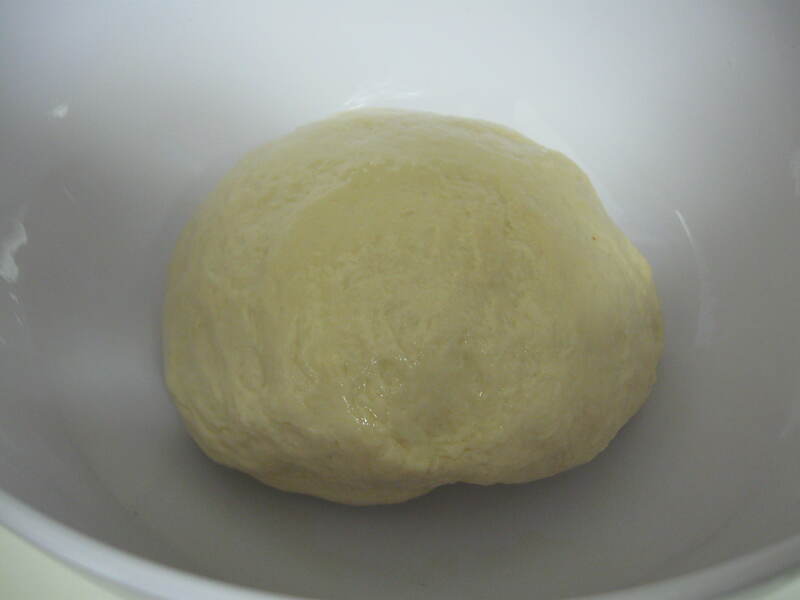 Add the flour slowly so it combines slowly and you’ll see it start to look like dough! 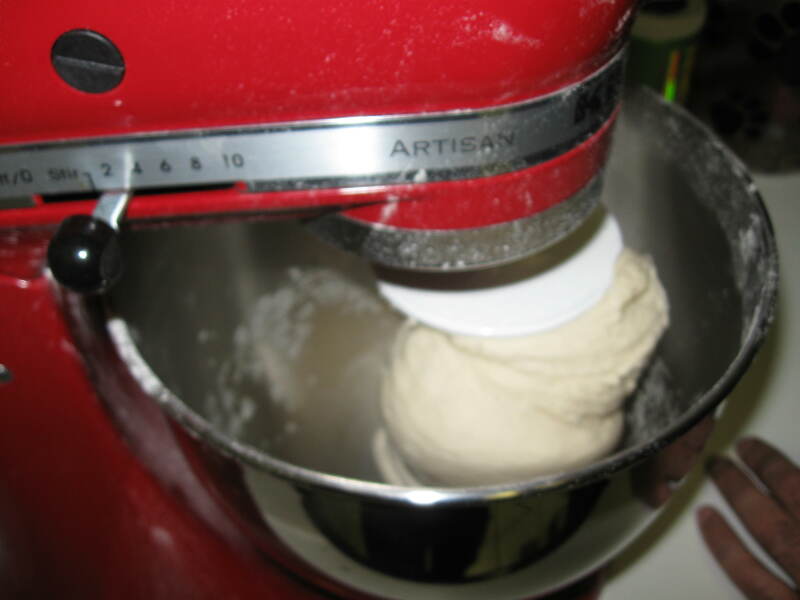 Once the dough is smooth in the mixer, stop it and take it out. 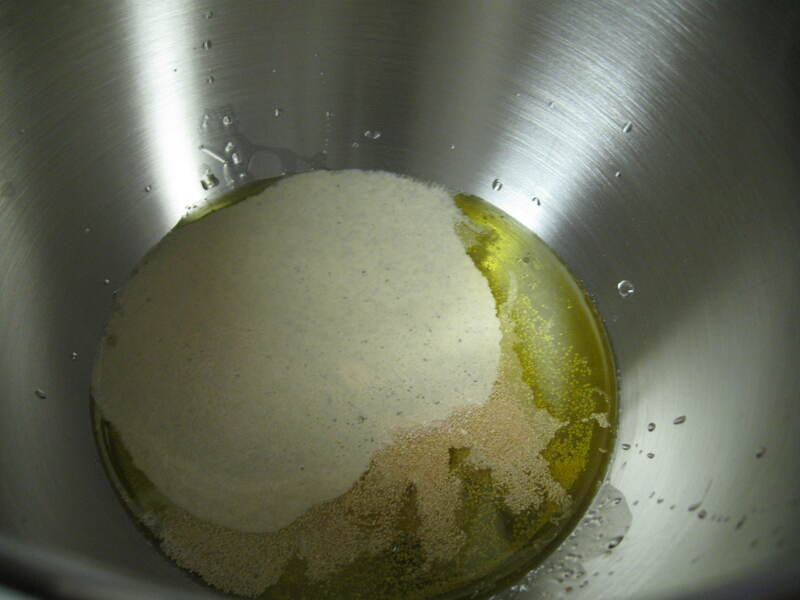 Place it on a lightly floured cutting board or counter and continue to knead it until it’s smooth. 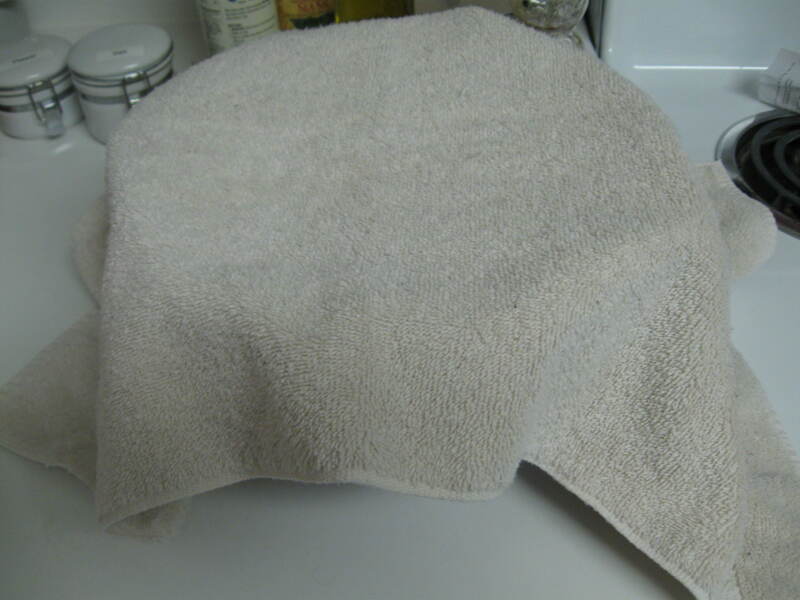 After 30 minutes, uncover and you’ll see that the dough has risen! Take it out of the bowl and place on a cutting board. 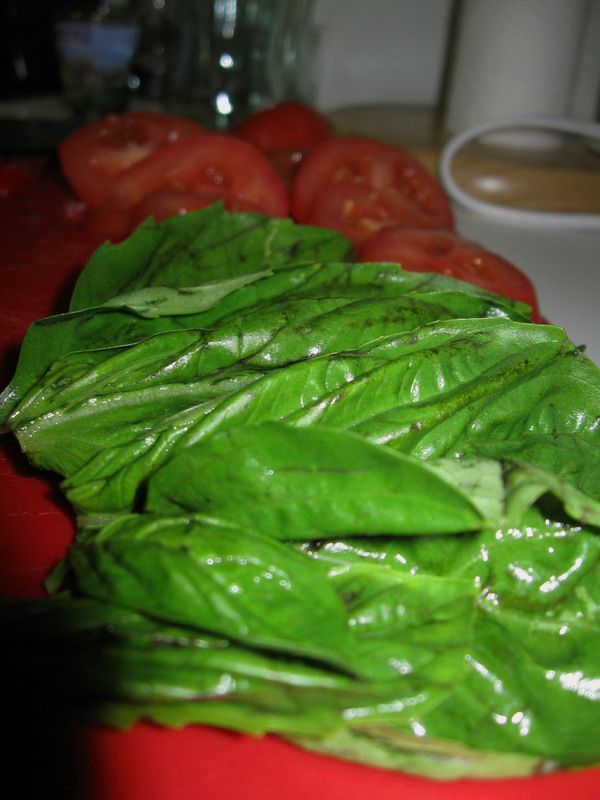 I love, love, love the way fresh basil smells. Mmmm! So fresh and so fragrant! His was quite happy to have been created – smiiiile! Voila! This was mine. A simple Caprese with Roma tomatoes, cheese, fresh basil. It was delicious! 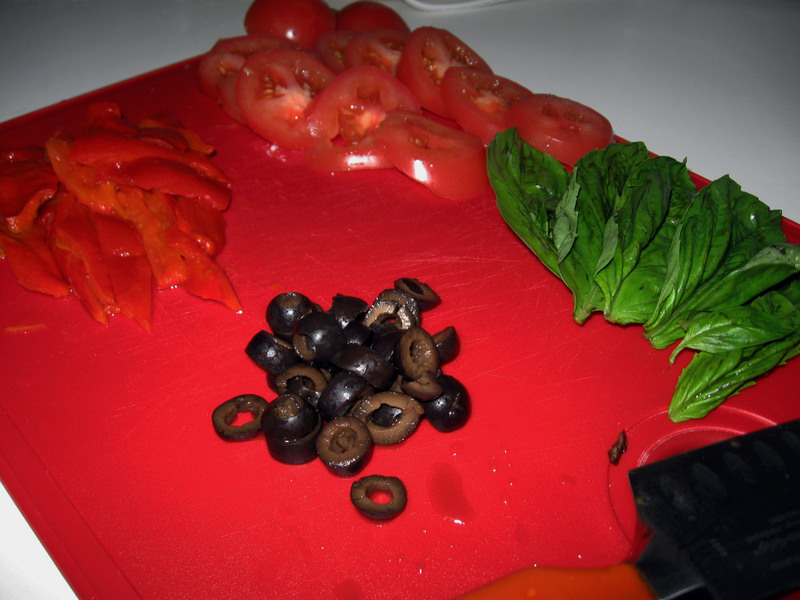 His was an “everything veggie” with the black olives, roasted red peppers, tomatoes, cheese and basil. What we learned after making mine was that the basil almost got burnt. It didn’t taste bad whatsoever, but it was a little darker than I wanted. 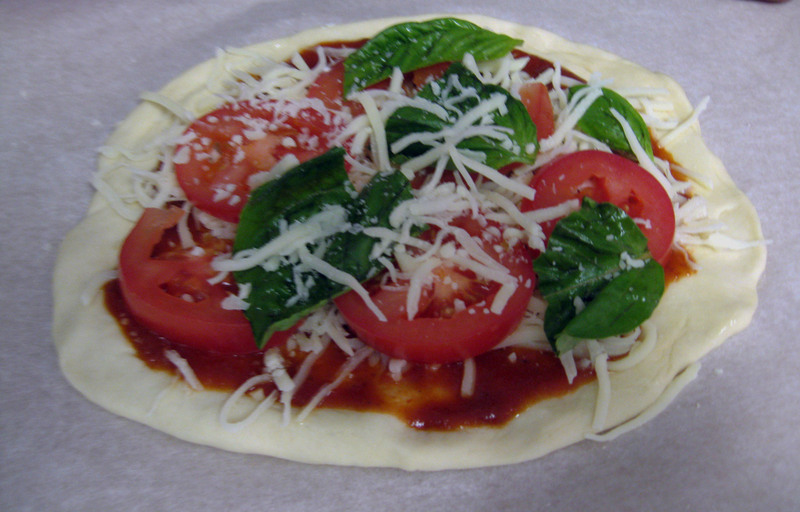 For his pizza, we put the basil on 5 minutes into baking so it wouldn’t crisp as much or as fast. Worked like a charm! The third one we made was sliced and put into the fridge for leftovers. We only used half the dough pieces. The rest were put into the freezer to be used at another time! 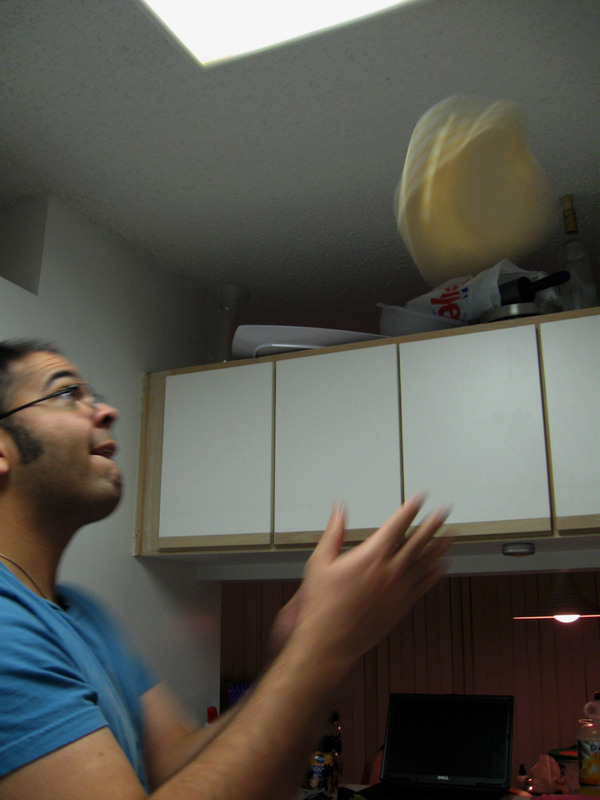 Like I said, I can’t take any credit for this dough. It turned out so well and I can’t ever imagine ordering pizza again. It was so simple to make and so delicious to eat. 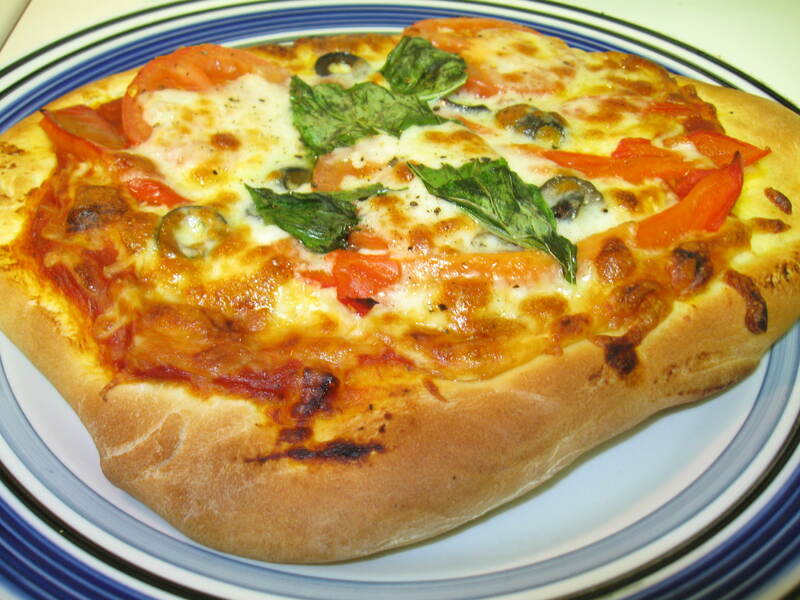 This entry was posted in Food, Italian, Main Dish, Vegetarian and tagged Barefoot Contessa, Food, homemade pizza dough, Ina Garten, pizza, pizza dough on January 10, 2010 by Aparna B..